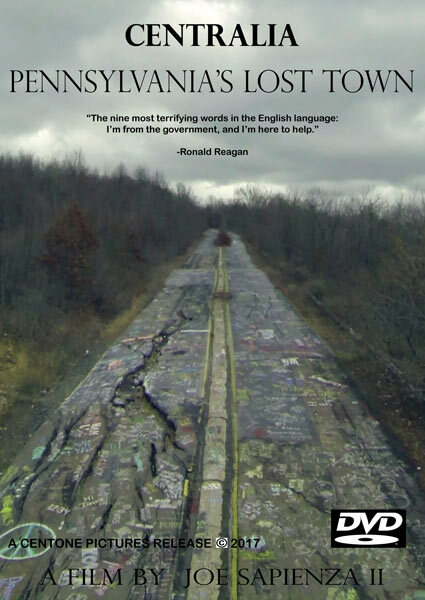 Help cleanup Centralia, Pennsylvania—either by volunteering time, making a donation, or becoming a financial sponsor! 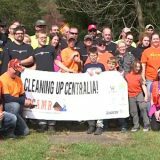 On Saturday, October 20, 2018 from 9AM to 3PM, the 5th annual Centralia cleanup day will be held in the town to remove garbage that has been illegally dumped there. Volunteers and donations are needed to support the cleanup effort. A free lunch will be served to those who attend. 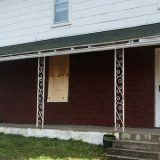 Cleanup day volunteers should meet at the Centralia Municipal Building at 600 Locust Ave., Centralia, PA 17921 at 9AM. Everyone participating must sign a liability waiver before joining. A copy of the waiver can be found below. Attend the cleanup day. Bring a pickup truck or Jeep if you can to move garbage. Also, a “grill master” is needed to lead the preparation of hot dogs, hamburgers, and chicken. Provide refreshments, water, snacks, or other food to feed those who will be volunteering their time. Donate money to support the effort, buy supplies, and purchase food. Become a financial sponsor by contacting Bobby Hughes, Executive Director of EPCAMR. Funds will help with dumpster tipping fees and go towards placing security cameras in problem areas. Contact Bobby Hughes if you have other suggestions or ideas for how you might contribute. EPCAMR (Eastern PA Coalition of Abandon Mine Reclamation) is leading the cleanup effort in Centralia. While EPCAMR has secured some funding for the event through an ARIPPA Grant, more cash donations and financial sponsorships are needed. Cash donations can be made directly online. Organizations interested in financial sponsorships may contact Bobby Hughes of EPCAMR. Sponsors’ funds will be used to offset the dumpster tipping fees and place security cameras near areas where trash is frequently dumped. If enough funding is raised, safety orange T-shirts will be printed and feature the names of the sponsors. Every little bit counts towards cleaning up the area, which has been impacted by a long-burning, underground mine fire. If you are not able to attend the cleanup day, please consider donating money to show your support. 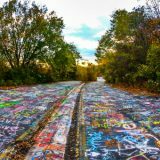 Why does Centralia, PA need cleaned up? 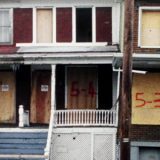 Thousands of people visit what remains of the town every year. Sadly, some visitors decide to leave their trash behind. While each incident of littering may seem small, when totaled these amount to tons of garbage and trash being dumped in the borough annually. 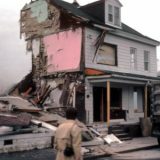 Previous cleanup days in Centralia have removed household goods, furniture, old tires, plastics, bottles, glass, cans, vacuum cleaners, baby diapers, carpets, refrigerators, sinks, toilets, and other discarded waste products. Unfortunately, the litter continues to accumulate, which is why your support is so important. EPCAMR has built a coalition of partners including the PA Department of Transportation, Keep PA Beautiful, Pennsylvania Environmental Council NE Office, Pagnotti Enterprises, Inc., ARIPPA, The Great PA Cleanup, Wicked Jeeps of the Coal Region, Shamokin Creek Restoration Alliance, Newport Township Crimewatch, Mostik’s Disposal, Mahanoy Creek Watershed Association (MCWA), International Coastal Cleanup, Ocean Conservancy, Centone Productions, Joe Sapienza II the director of Centralia: Pennsylvania’s Lost Town, several of the remaining local residents, Tom Hynoski (Fire Chief of Centralia, Pennsylvania), regional college students, former Centralia residents, and volunteers who share a passion for cleaning up the borough of Centralia. Thanks to EPCAMR for organizing this event and providing the information found in this article!